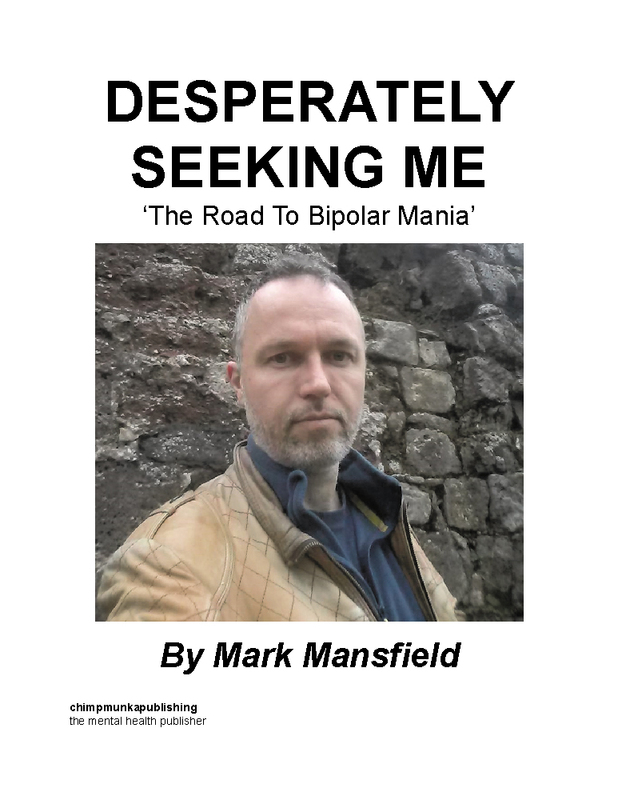 This book tells the true story of Mark Mansfield, who was diagnosed with bipolar disorder in 2014.. It was quite a wild ride. Thanks to an email-based diary that he kept, this is one of the most detailed accounts of one man's journey into and back from mania. In particular, it shows what it was like to suffer from psychosis, losing touch with reality, from the point of view of the person suffering the symptoms. This includes both delusions and hallucinations. 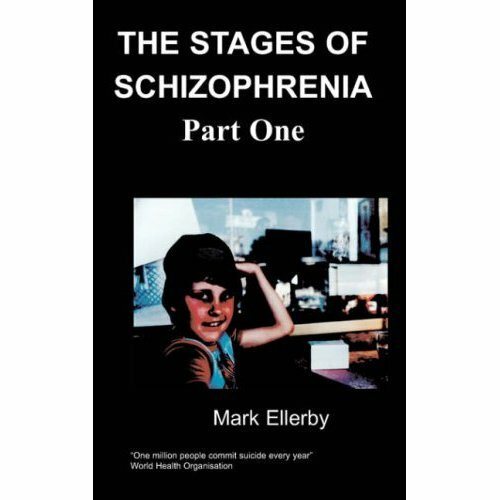 The book also makes the case that Mark was suffering from enough mental health traits to qualify for borderline personality disorder too. The book focuses on events that are significant to mental health, given in chronological order. This includes an initial diagnosis of depression, a blizzard of stress-related episodes, detentions under Section 136 and Section 2, a criminal conviction and divorce. Mark thought that he encountered numerous celebrities along the way, including Derren Brown, the actors from Spooks, Bernie Ecclestone, John Cleese, Fiona Bruce, Phil Collins, Eric Clapton and Julia Roberts. He also sent messages in the hope they would get through to Richard Dawkins, Top Gear and Nigella. The final episode led up to a grand delusion where Mark thought that Madonna wanted to marry him. Even Barrack O'bama wanted to know what was going on. Mark Mansfield was diagnosed with unipolar disorder (depression) in 1998, following the death of his first child. He spent 3 months in Wonford House in Exeter, receiving cognitive behavioural therapy and a series of antidepressants. He fought to come off the drugs and was basically fit and well for the next 15 years. Then after divorcing and remarrying, he experienced a sequence of very stressful family-related episodes. These led to increasingly manic behaviour with psychotic symptoms too, throughout 2013. In 2014, he was admitted to The Cedars, diagnosed with bipolar disorder and prescribed mood stabilisers and anti-psychotics. The mania continued, resulting in a Section 2 detention, a criminal conviction and divorce for the second time. In 2015, Mark was admitted to mental hospital once more with continual delusions and hallucinations, believing that Madonna wanted to marry him. He was only able to make progress when he realised that the voices in his head were fiction. Once he'd made the decision not to hear them, then normality returned. Mark has subsequently achieved good health, albeit with an ongoing underlying depression. The story that I'm going to tell is more subjective, based on my memory as well as my perception, both of which may be distorted. Nevertheless, I believe there is some value in my story because it conveys an idea of what was going on in my head in the run up to bipolar diagnosis and beyond. The manic behaviour, driven by psychotic symptoms including both delusions and hallucinations is the key element, without which a bipolar diagnosis would never have happened. I hope that the story is of value to people both with and without bipolar disorder. In particular, if you're living with someone who seems to be displaying these symptoms, then this may encourage you to seek help from the medical profession. As someone with the disorder, one of the symptoms is that you tend not to think there is anything wrong with you and become very defensive if anyone suggests otherwise. Perhaps it is unlikely that bipolar people reading this will seek help as a result, but you never know. Having recovered a little from some of the ravages of mania, I'm left wondering whether my bipolar disorder has actually been there all along. Reading about it on the internet suggests that the vulnerability has certainly been there all along. Bipolar disorder is only diagnosed at the occurrence of the first mania, so it's really a question of when that was. From memory and with the benefit of hindsight, I'd say that was actually during my childhood. It is my belief that different states of psychosis are defined by beliefs in different things. In particular, it is when we start to believe something that most people wouldn’t that manic behaviour progresses to psychosis. Likewise, when we start to experience hallucinations, many more beliefs can fit into the picture while we try to make sense of what we are seeing or hearing. This can reinforce the overall strength of a delusion and fuel mania some more. As a person I am somebody who builds up an entire value system based on a structure of beliefs. Whenever I encounter a new situation, I re-evaluate my belief system to see if it's consistent. If not, then I modify it at an appropriate level and then carry on. If it’s a low-level belief I’m modifying then the consequences can be dramatic. From my point of view then I (usually) think I’m being reasonable, However, I’ve learned throughout my lifetime that what I consider reasonable and what somebody else does can be two different things. Or to put it another way, a person looking at it from the outside might say that the bipolar person has "poor judgement". Given the series of things that have happened to me and that are documented in this book, I won't argue with the poor judgement label. However, what I will say is that even during psychosis I make judgements in a perfectly sane and logical way, given the information at my disposal. What I can't account for is whether the relative value of those things has become distorted because of a chemical imbalance in the brain. Hence the need for anti-psychotic medication, though I understand that many people are now questioning the legitimacy of the science behind all this. Although psychosis doesn't appear to be happening any more for me, I will document my experiences from memory in an effort to shed some light on the role that beliefs have to play in all this. Then it’s up to you.